Cloud9 Real Time will bring reliable new cloud computing solutions to the 2012 Practice Management Conference in Las Vegas, Nevada June 19 – 21st. 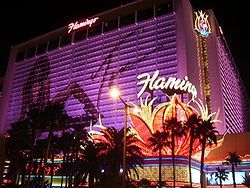 The Conference, hosted this year at the Flamingo by Office Tools Professional, is organized to help accounting professionals understand what technologies and ideas are trending, and spend time with practice industry thought leaders. Cloud9 CEO and President, Robert J. Chandler will be a Keynote Speaker at the event as well as hosting a book signing of his newly released Together in the Cloud. The book is designed to show how the cloud can enhance your personal and business success. Cloud9 Executive Staff will also be doing user training and live demonstrations in conjunction with the Office Tools Professional presentations. Cloud9 Real Time shows firms how the cloud can work for them and the cost savings over managing a local server; Moving to the Cloud will provide accounting professionals with a secure data center, outsourced IT, automatic backups and a disaster recovery plan.